At Grace Health, we understand that you, your children or other family members get sick in the evenings and on weekends. That’s why we offer nursing services 24 hours a day through Team Health Medical Call Center. The nurse can give you advice about how to take care of yourself at home, or tell you if you need an appointment or need to be seen in the Emergency Room. You may be eligible for health insurance through the Affordable Care Act and Grace Health can assist you in determining if you qualify and what qualified health plan is best for you. We help many of our patients create a “Marketplace” account and then help them navigate the application process by answering questions regarding the health plans they qualify for. At Grace Health, we offer lab services through Bronson Battle Creek. This lab is able to perform immediate onsite testing for you so that you do not need to make another stop to have your blood work done. At our Albion site, we off similar lab services through Oaklawn Hospital. As a Grace Health patient, you may obtain your prescriptions through the sliding fee discount plan if you are uninsured. For those with insurance, our Prior Authorization Specialists can assist. We also help connect our patients to prescription assistance programs, such as the Prescription Drug Access Program or Senior Millage Funding, to those who qualify. We connect our Grace Health patients to other health care providers so that you will get those additional services and referrals as needed and that they are covered by a variety of health plans. Grace Health organizes and maintains critical information in patient files to make sure that your medical care is consistent and of the highest quality. We add all medical reports (visits with physicians, treatments, etc.) to the Electronic Health Record (EHR) for your immediate viewing through our confidential patient portal on our website as well as reviews by the providers. At Grace Health, we are sensitive to the private nature of your and all our patients’ medical records. We take steps to make sure that your records are kept confidential and secure. Medical information is not released without your written permission on our authorization form. Copies of records for other health care providers are made free of charge. We do charge for copies made for your own personal records. We ask for a separate authorization for each request. Our Health Information Services Specialist at Grace Health is available to assist you in getting various forms you may need, such as disability or the Family Medical Leave Act (FMLA), completed and answer any questions you may have about the process. We have Grace Health nurses available during regular office hours to talk to you by phone or on a walk-in basis. They provide assistance at the time of the call regarding lab results, prescription refills, patient/provider liaison and any other concerns you might have. We make sure that patients get reliable and prompt billing with sliding fee discount adjustments if you qualify. The sliding fee discount is based on household size and income. We also offer medical plan qualification assistance to our patients for enrollment in MIChild and Medicaid. Our receptionists/schedulers are busy and handle over 800 calls per day, schedule over 300 patients per day and greet each patient warmly and respectfully. We have an open access model that offers same day appointments for ideal patient service. It’s a well-known fact that pets bring encouragement and joy to patients who may be frightened or hurting at their doctor appointment. 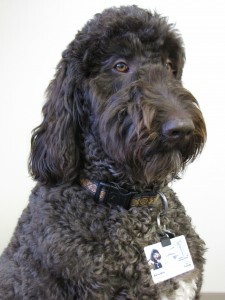 Barnabas (the Grace Health labradoodle) is available to entertain and calm patients of all ages. We provide full-time Spanish and Burmese interpretation services so our Spanish speaking and Burmese speaking patients can access every service offered at Grace Health. We also have the technology to provide for other language interpretation as needed. A sign language interpreter is available upon request, as well as a TDD machine on site. At Grace Health, we want to make sure you can make your appointment. Please contact our Healthcare Advocates at (269) 441-1949 for possible transportation resources. Thanks to our partnership with the Food Bank of South Central Michigan, we are able to offer fresh food each week. Please visit us at the Seventh Day Baptist Church (200 North Washington Avenue, Battle Creek) on Mondays and Thursdays starting at 10:00 am. If you are in need of basic necessities, such as clothing, housing, food, baby items, etc. we may be able to connect you with community resources. Call our Healthcare Advocates at (269) 441-1949.